For more than a decade, as Gruppenführer and Lieutenant-General of Police, Heinrich Müller was one of the most powerful policemen in Germany and Occupied Europe. Yet today he remains a shadowy figure moving effortlessly through the rise and fall of the Third Reich, only to vanish from sight in the harsh light of Germany’s defeat. To understand how much power was in Müller’s grasp, it is necessary to take a look at the chain of command that stretched from Hitler into every home in German-controlled territory. Directly below Adolf Hitler were the Reichsleiter responsible for general policy not detailed administration. Amongst them were Martin Bormann, Hans Frank, Joseph Goebbels and Heinrich Himmler. Countries under German rule were divided into political areas or Gaus. Each of these had a Gauleiter at its head, a man directly responsible to Hitler. The lowest, and usually the vilest, of these officials was the Blockwart who snooped on the dozen or so families in his charge. Each family had a file, kept up to date, by the Blockwart on whose pages were written hundreds of single tickets to the concentration camps. In 1929, four years before he became Chancellor, Hitler appointed Heinrich Himmler as Reichsführer SS. In this role Himmler had command of the Nazi Party Troops (Schutzstaffel or SS), at that time the force of only 280. By 1933, it had grown to 52,000 members, all fanatical Nazis and devoted followers of Hitler. Their function was to protect the Führer and maintain internal security. In 1933, Hermann Göring set up the Secret State Police (Geheime Staatspolizei) in Prussia. Not long afterwards an anonymous clerk, perhaps tired of writing the full title on documents, shortened it to GESTAPO, the name by which it became known and feared throughout Europe. Between 1943 and 1945 the Gestapo had a membership of 50,000, compared to the SD’s (Sicherheitsdienst, Security Service), meagre 3,000. In occupied territory the Gestapo worked either in plainclothes or in the ‘black coats’ of the SS with the insignia of the SD. A supreme command organisation, the Reich Security Head Office (RSHA), was established to run the numerous security and intelligence services. This comprised twelve, closely interconnected, departments. Department IVA was the Gestapo, with Heinrich Müller at its head. This was further divided into the following sections: 1a. Marxism, enemy propaganda, partisans, Russian PoWs. 1b. Reaction, monarchism, pacifism, liberalism, rumours, undermining morale, defeatism. 2. Sabotage, radio jamming, parachutists, commandos. 3a. Intelligence. 3b. Economics. 3c. Frontier control. 4a. Religion. 4b Jews. 5a. Anti-social behaviour. 5b. Party affairs. 6a. Card Index. 6b. Concentration camps. From the above list, it is clear there was not one branch of internal control that Heinrich Müller could not bend to his own wishes. Above him were Hitler, Himmler and Heydrich (later succeeded by Kaltenbrunner), but Müller was still the leading personality and driving force not only behind the Gestapo but behind the whole RSHA. Although it is by no means difficult to understand the organisation of the Gestapo, understanding Heinrich Müller is far harder. He had many acquaintances, but no friends. All those who knew him are now long dead. His career is, however, well documented right up to the end of the war. Between 1914 and 1918, he served as an officer in the German air force, where his hazardous job was to pilot an artillery spotting aircraft flying low over the Allied lines. Awarded several prestigious German Army medals for bravery, he ended the war a hero. In 1919, he started working for the Bavarian police department, then part of the Weimar Republic. The immediate post-war years were a period of great political, social and economic unrest In Germany, there was hyper-inflation, extreme street violence and high levels of unemployment, fertile soil for Communist ideas stemming from the recently formed Soviet Union. In 1919, Bavaria established itself as the Independent Soviet Republic of Bavaria, under the leadership of the Independent Social Democratic Party of Germany. Its dream of becoming The Free State of Bavaria, independent from the Weimar Republic, was swiftly crushed by the Army, Police and the Freikorps, a paramilitary force. During the short time they held power, Müller was compelled to witness the execution of numerous hostages by the Revolutionary Red Army of the Soviet Republic of Bavaria. These events made him bitterly resentful of all those who involved in an insurrection. During the 1923, putsch, these feelings may well have influenced the hard line he took against the Nazi rebels. Fortunately for him, when the National Socialists seized power in 1933, his immediate boss, Reinhard Heydrich – later to become known as the ‘Butcher of Prague’- recognised, his professionalism as a senior police officer and decided to use rather than execute him. All the reports indicate Heinrich Müller performed his work with absolute dedication and, most importantly, never questioned nor doubted the orders he was given. Day, night, weekends or during the holidays he could always be reached by telephone. His staff of two clerks and two adjutants were kept busy around the clock. During the war, Müller successfully infiltrated the Soviet spy network in Germany called “The Red Orchestra” and used it to distribute false information to their Intelligence Service. After the assassination of his patron, Reinhard Heydrich in Prague in 1942, Müller headed the investigation into his slaying. By means of torture and bribery he was able to identify the Czech commandos, sent by the British to execute Heydrich. 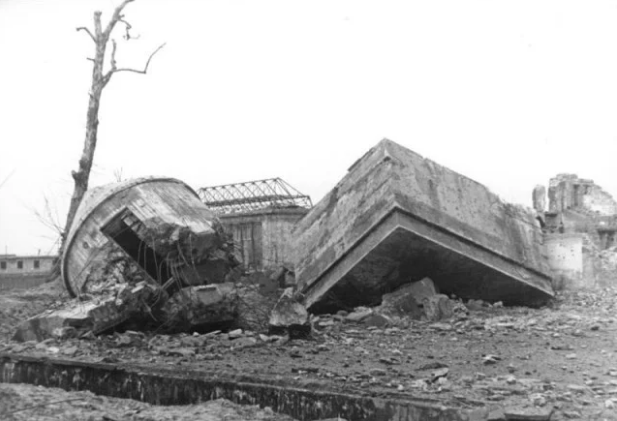 Unable to arrest them, they took their own lives rather than fall into Gestapo hands, Müller ordered the destruction of the town of Lidice and the murder of all its inhabitants, men, women and children. After Heydrich’s death, Müller’s influence gradually declined. But he retained command of the investigation of the Abwehr, the Wehrmacht Intelligence Service, and their involvement in the June 20, 1944, assassination attempt on Hitler. 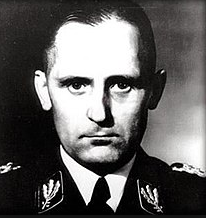 Known as Operation Valkyrie, this led to the arrest of more than 5,000 people and 200 executions. 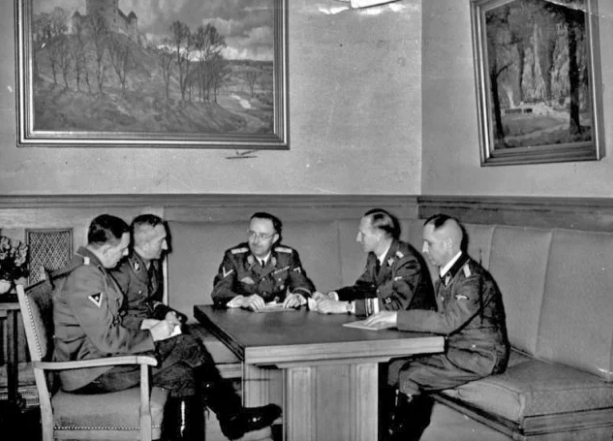 In 1945, after Heinrich Himmler began, behind Hitler’s back, to open peace negotiations with the Allies, behind Hitler’s back, Müller was tasked with the job of tracking him down. This he did by using information obtained through the brutal torture of Hermann Fegelein, Himmler’s liaison officer, after which he had the man shot. 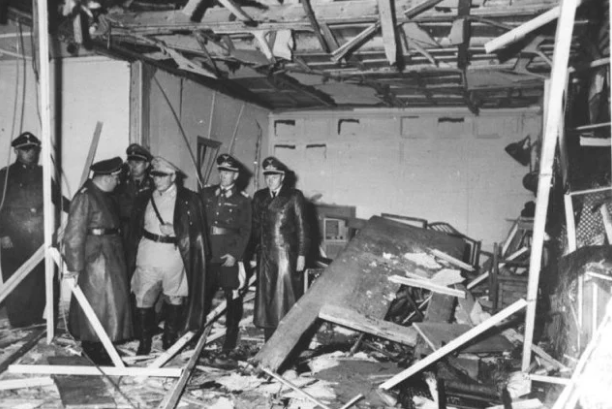 On April 30, 1945, the day Hitler committed suicide, Müller was still at work on the investigation in Himmler’s offices within the Führerbunker. In May, 1945, with the Russian army closing around him Heinrich Müller walked out of the RSHA building in Berlin and was never seen in public again. He left wearing a civilian suit, rather than his uniform, and carrying forged papers. Later it was reported he had been killed and his grave, in a Munich cemetery, was neatly tended by his wife and family for years afterwards. In 2013, his death seemed to be confirmed by Johannes Tuchel, Head of the Memorial to German Resistance. Despite the apparent burial in a Munich cemetery, Tuchel claimed Müller’s body had been found, in August of 1945, buried in a mass grave that held more than 3,000 bodies. This report has never been officially confirmed. Many believe Müller survived the war and his funeral was a charade to divert attention from the truth. When the grave was opened and the body disinterred, during the ‘sixties, it could not be identified and some reports say the remains actually comprised the bones of three different bodies. So, if Heinrich Müller was not dead, where was he? South America, Russia or the USA? When I first investigated this story, in the early ‘sixties, it seemed that the refuge countries could be narrowed to either Russia or South America. The fact that, in the decades after the war, the Argentina became a refuge for many important Nazis is well known. Among those who claimed residence there were Dr Joseph Mengele, former camp doctor at Auschwitz and Bergan-Belson, Dr Karl Klingenfuss, the anti-Semitic spokesman of the Nazi Foreign Office and Adolf Eichmann who lived there until his kidnapping by Israeli agents in May, 1960. The main Nazi stronghold was Santa Caterina. Home to 70,000 Germans, the town had a flourishing Neo-Nazi, anti-Semitic organisation Tacuara. Among such genial company Müller would have felt reasonably safe. Nor would getting there have presented much difficulty. Despite the fact that the theory of Müller’s escape to South America is perfectly plausible, I did not entirely believe it. For one thing, I felt there was the question of his temperament. Was it likely that a man for whom power had been the breath of life, would have been willing to end his days in some menial factory job as in the case of Eichmann? In Berlin, in 1964, I received information which confirmed the view, held by many, that Müller went over to the Russians. He is claimed to have admired them and it is also rumoured that he was in direct radio contact during the last days of the Reich. A man of Müller’s experience and ability might have found a satisfactory post among the Intelligence community of Stalin’s Russia. This account I also doubted. I felt that, had a man with his reputation been captured by the Russians, he would have ended up in front of a firing squad rather than behind a desk in some well-paid intelligence occupation. More recently, stories have surfaced that Müller had, in fact, been secretly transported to the US as part of the OSS-CIA’s Operation Paperclip, in which top Nazi intelligence officers were recruited, together with their files, to help in the Cold War struggle against Communism. After loyally serving the Americans for a number of years he was, so the story goes, allowed to retire, on a generous pension, to South America where he died. A list of Gestapo crimes was presented to the International Military Tribunal at Nuremberg in 1946 by Colonel Story of the United States Prosecution. Here is a summary of that list. Müller was one of the key figures of the Wannsee Conference in 1942 when the strategy for the ‘Final Solution’ was officially adopted. He was later directly involved in the planning and execution of the Holocaust, as a senior officer and a trusted colleague of Adolf Hitler, Heinrich Himmler, and Adolf Eichmann. 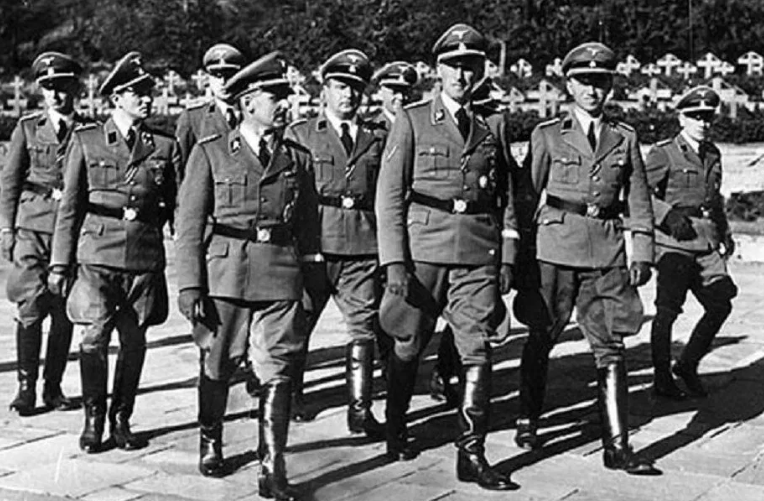 Under his leadership, the Gestapo became infamous for its methods of ruthless torture, generally regarded as a textbook example of a police-state dictatorship. Torture was used, not to obtain specific information but as a matter of routine. Men and women were put to death in the most terrible manner, not because they knew anything but on the off chance they might know something. The Gestapo were responsible for faking the border incidents used as an excuse to attack Poland. The Gestapo murdered hundreds of thousands of defenceless men, women and children by their Einsatz groups. They slaughtered scientists, political leaders, prisoners of war, Allied commandos and paratroops. They established the concentration camps and sent thousands to be exterminated or used as slave labour. They sent civilians who occupied countries to work in Germany as slaves. They were the primary agents for the persecution of the Jews and churches. In short, Müller’s Gestapo brought the dark ages back to Europe. Although during his career, Müller was responsible for the deaths of millions. Jews, prisoners, hostages, he never directly killed anybody. He knew every detail of the gas chambers and crematoria at the dozens of concentration and extermination camps. He could quote from memory the mortality rate at Birkenau or Auschwitz. Despite all this, he visited the camps infrequently and never inspected them at all. Never in the history of the human race has terror and death been organised on so bureaucratic lines. Müller, the ice-cold executive slaughtered, not with a bullet or a knife, but with a stroke of his fountain pen. As a description, ‘dustbin of the Reich’ would be hard to better.